Russian oil major Rosneft and Italy's Eni Trading & Shipping (ETS) have signed a strategic agreement to develop trading and logistics opportunities. Eni said the deal with the Russian company will make it one of the leading traders in the European market. The document was signed by the president and CEO of Rosneft Igor Sechin and his Italian counterpart Marco Alvera. "The agreement signed today is aimed at creating synergies in the logistics and infrastructure of our companies, as well as extracting additional benefits from the use of the companies’ own oil and oil products," the partners said in a statement. 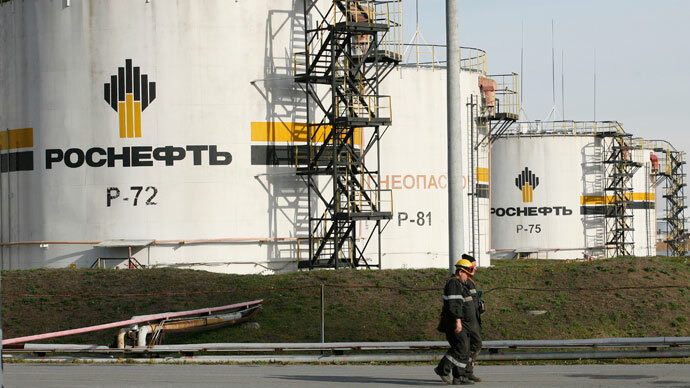 "Rosneft is Russia's largest oil producer, while Eni Trading and Shipping is one of the largest buyers of Urals crude in the world and the largest Italian refiner," Eni said. ETS is the part of Eni that provides services to the parent company and its partners dealing in selling oil, petroleum products, natural gas and electricity products and development in the field of environmental protection, as well as risk management. Rosneft and Eni have cooperation agreements concerning shelf development in the Black Sea, in the south of Russia, and the Barents Sea at the extreme north. Eni described the areas on the Arctic shelf as having "great mining potential" considering them to possess at least 36 billion barrels of oil equivalent in recoverable reserves.